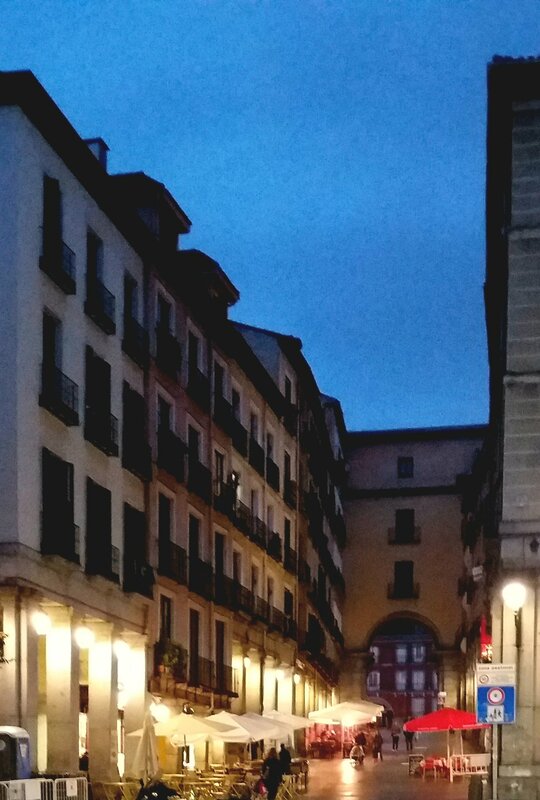 Madrid is one seriously beautiful city, inside and out. 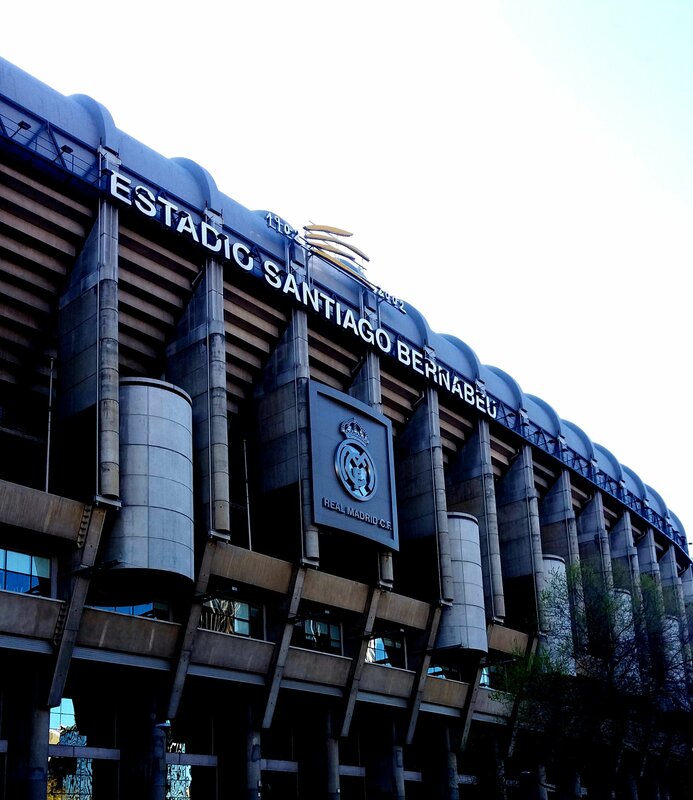 Home to the phenomenal Santiago Bernabeu, Retiro park and San Miguel Market. Madrid offers plenty to explore and experience, it is the perfect location for a city break. 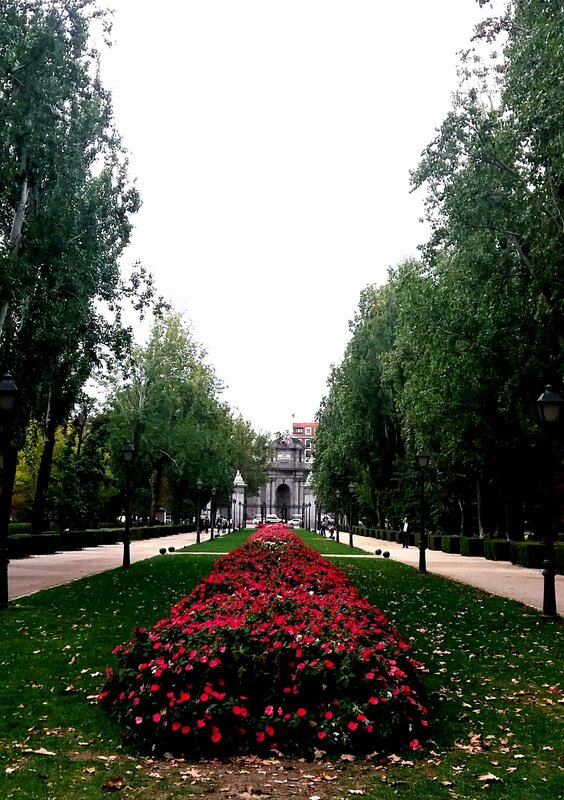 Not your average park, Madrid’s main park is elegant and charming with over 350 acres to explore. Home to several sculptures, monuments and a boating lake. 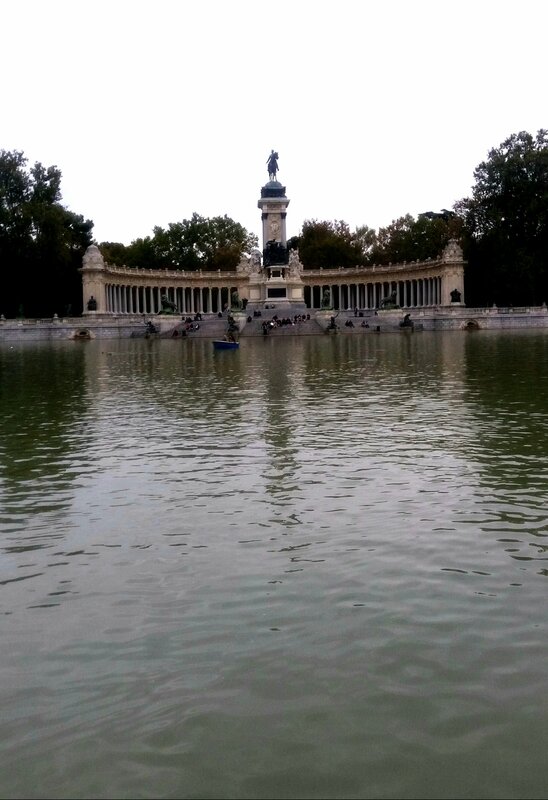 You can hire a boat and cross the lake over to the monument of King Alfonso XII. The boats cost around €5. Around the lake are also many cafes to get lunch or something to drink. During the 17th century the park was private and belonged to the royal family. To learn more about the history of the park take a walking tour. There is an app called gpsmycity.com that has some really good guides. Plaza Mayor popular with tourists as well as the locals is aligned with restaurants and bars. 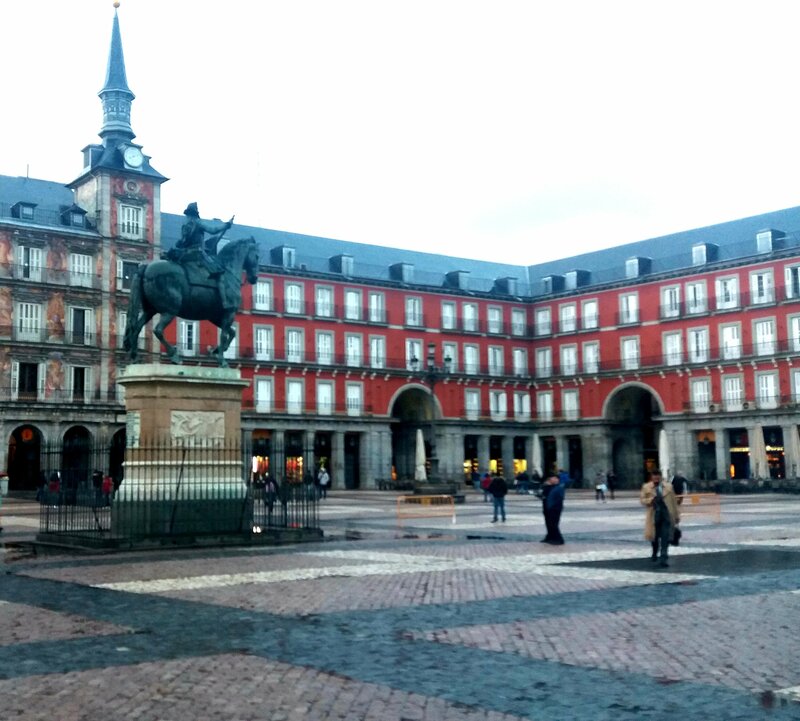 The Plaza proudly situated in the centre, is a statue of Felipe III who inaugurated the square in 1620. If you eat at any of the restaurants surrounding the square, expect a big bill. The food is not good and you will be paying extra just for its location. Try heading into the alleys surrounding, there are some hidden gems. From churros to tapas you will get much better quality for your money. Also the narrow cobblestone alleys are my favourite, filled with souvenir shops and cafes you could get lost for hours wandering through them. 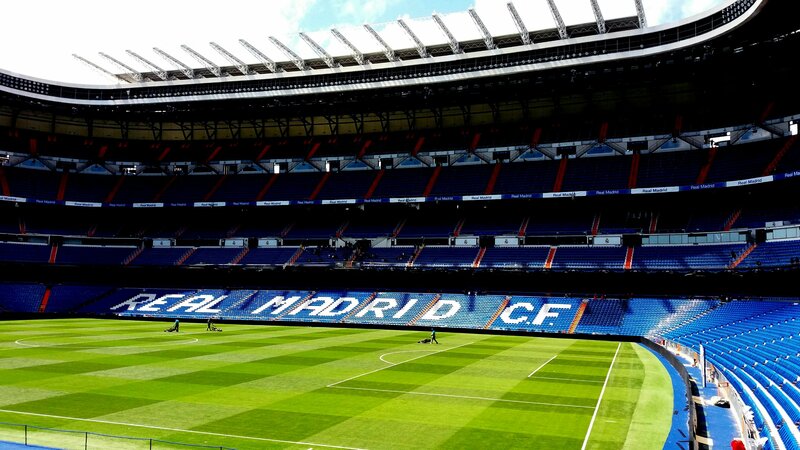 You can not visit Madrid without seeing the legendary Santiago Bernabeu stadium, one of the world’s most famous and prestigious football venues. I’ve been a few times now and it still gives me goosebumps. Head to a game and watch the Galacticos in action under the headlights of 80,000 adoring fans. Tickets are also a fair price for watching one of the greatest teams in football. The cheapest starting at around €40. Step into the footballers footsteps as you walk through the tunnel onto the pitch or take a sneak peak into the dressing rooms on a behind-the-scenes stadium tour. The tour is self guided and you get as long as you like! It’s the best stadium tour that I have experienced, you gain access to a lot of areas in the stadium and of course no guide to rush you taking pictures. You can spend as long as you like admiring the stadium. Included in the tour, staff take your picture with your favourite Galactico on a green screen and also one with the Champions League trophy (the real trophy) you collect the photos at the end. If you want to buy them they do cost €20 each. Stadium tours cost €25, yes it’s expensive but compare this tour to Barcelona’s Nou Camp. 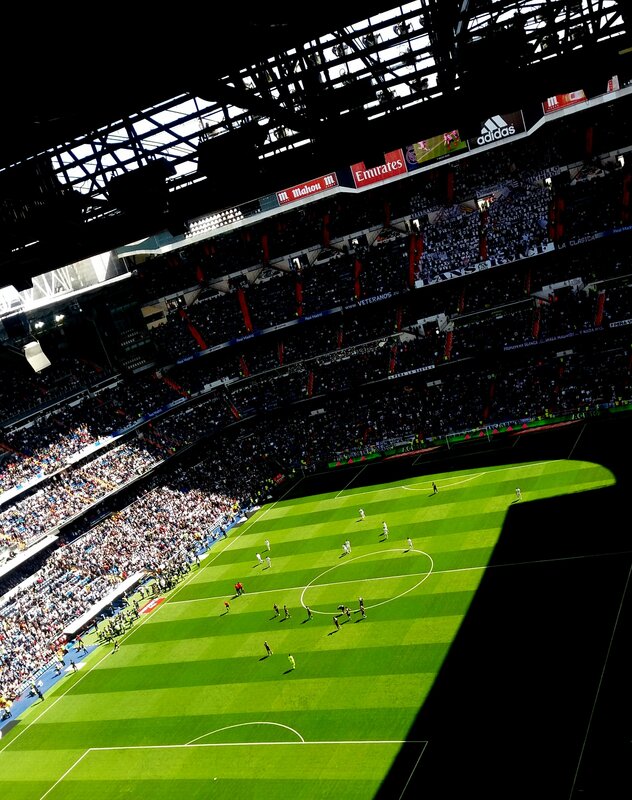 The Bernabeu offers far more value and a unique experience. San Miguel Market is the most popular market in Madrid among tourists because of its central location within walking distance of Plaza Mayor. The market is not your traditional supermarket, its more of a gourmet tapas market. 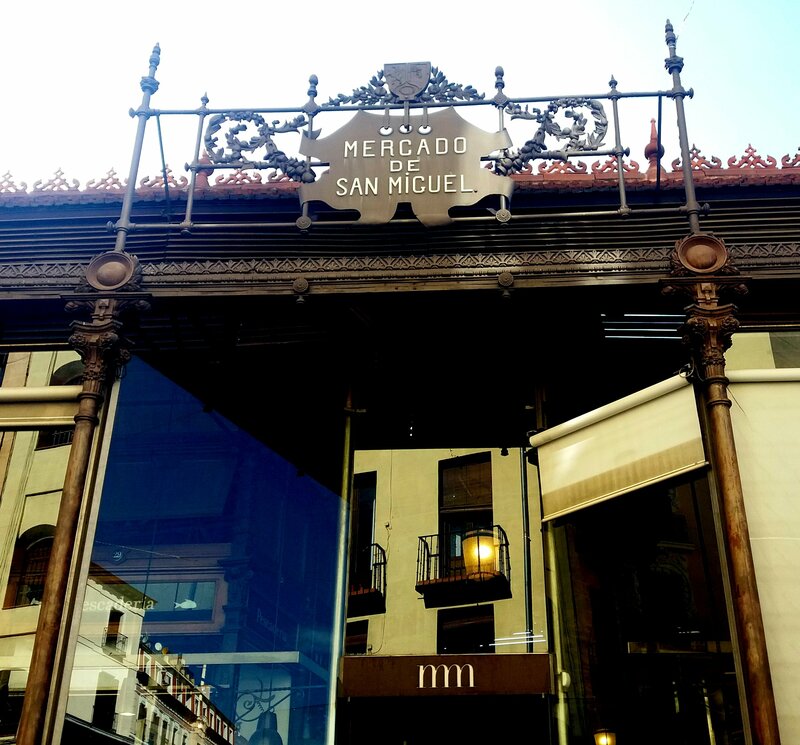 Admire the market’s elegant architecture as you wander through the many stalls of traditional Spanish treats. 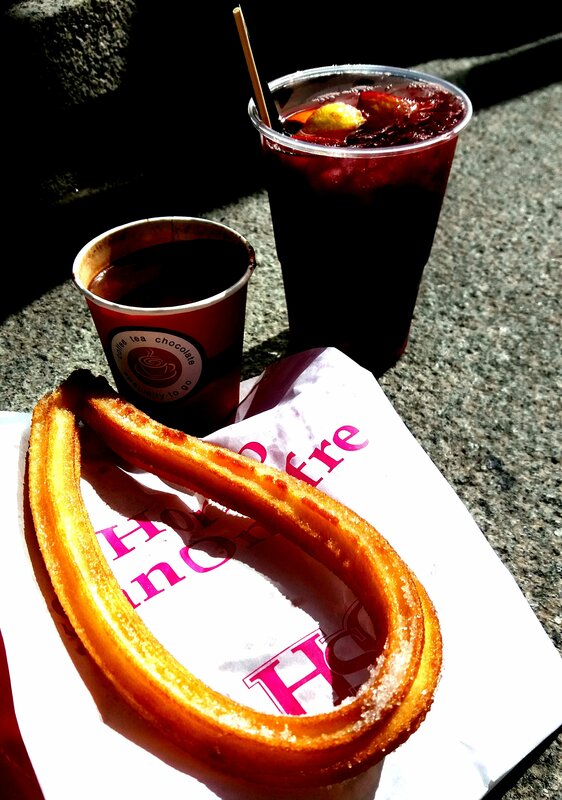 Indulge on Jamón, olives and fresh seafood as well as treating your sweet tooth with churros. Círculo de Bellas Artes has the most surreal views of the city. Admire the breathtaking scenery as you sip on a refreshing cocktail. Hang around to see the city at sunset, as the city sparkles at night. The panoramic views include the Gran Via (Madrid’s major shopping strip) and the beautiful Metropolis building, a famous landmark in Madrid. Plaza de cibeles is also right outside and looks beautiful at night. 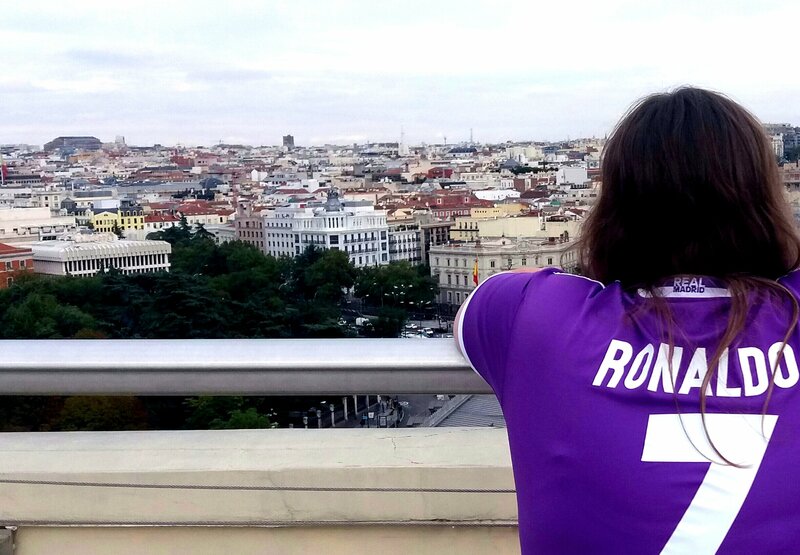 There is an entrance fee of €4 but the price is more than justifiable for what is without a doubt the best view of the Madrid skyline. 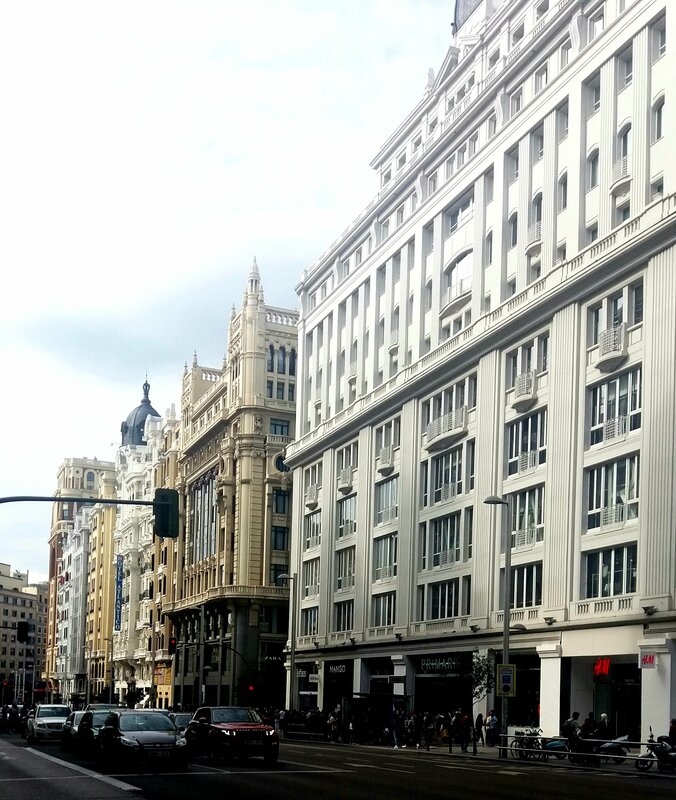 The Gran Via, is Madrid’s answer to London’s Oxford Street. 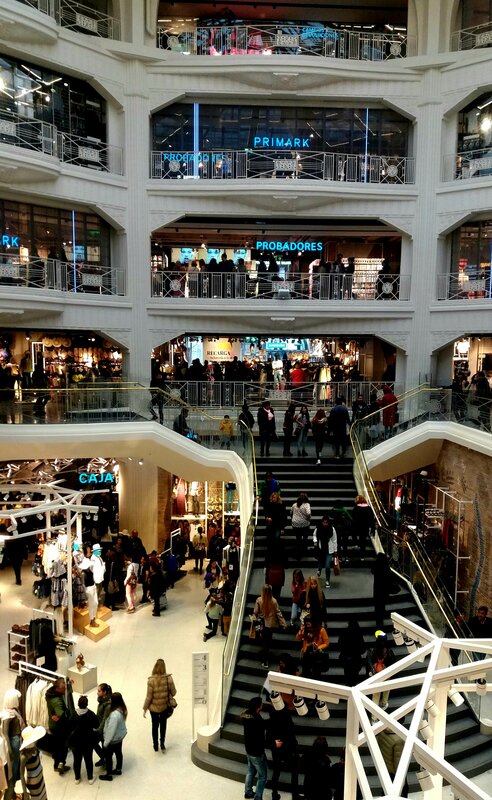 Home to designer shops, hotels and theatre’s making it Madrid’s most commercial district. Plaza de Cibeles is a square of marble sculptures with fountains that have become an iconic symbol for the city of Madrid. 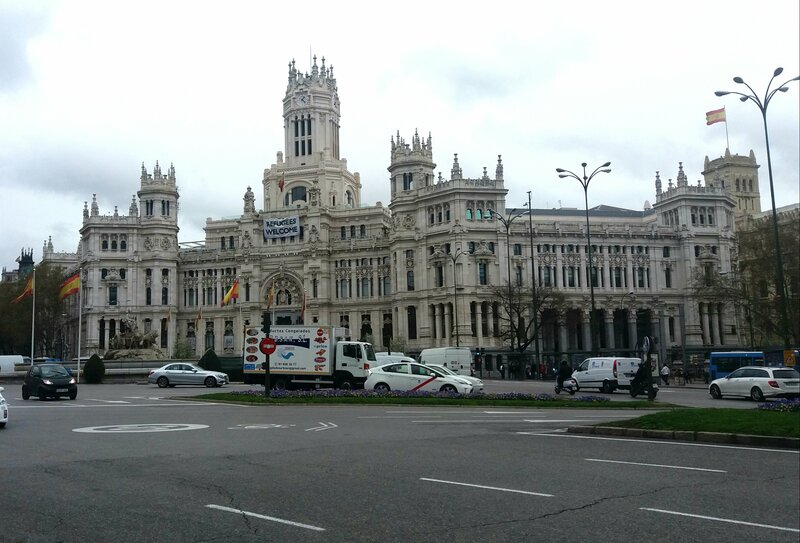 Originally the headquarters to the postal service, it is now the Madrid City Hall. This market is crazy busy! Get caught inbeweeten the hustle and bustle of this vibrant market. Held on a Sunday from 9am to 3pm, the El Rastro Market is the one the biggest open-air flea markets in Europe. Over 3500 stalls, there is plenty to keep you busy. Stalls feature vintage clothing, art and handmade souvenirs. Get inspired by street artists or head into one of the cafes serving beer and tapas.